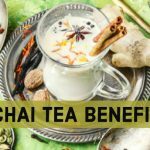 Asian cultures have long loved the great benefits of TEA. The Japanese tea rituals to the Chinese medicinal uses of tea. The ritual, calming and healing benefits of tea have been renowned for 5,000 years. Today Chinese tea is drunk all over the world, not just for it’s taste but also it’s health benefits. The most famous of these tea’s being green tea. 1.9 Does Bojenmi Tea Have Caffeine? 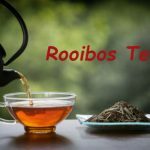 In this article I will take a look at one of these teas namely ” Bojenmi Tea” and it’s interesting benefits. 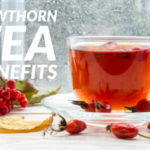 The Ultimate Secret refers to the teas ability to help with weight-loss. According to Chinese sources this tea can make you lose weight without you even being on a diet. However, I wound like to stress that at present there’s no scientific evidence to support this. 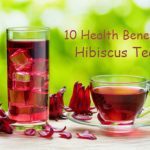 But there is evidence to support that some of the herbs added to this tea can help weight loss. Then again because you can’t prove it, doesn’t mean it’s not true. After reading this post you will be able to judge it for yourself. 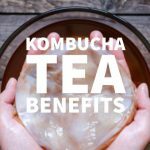 What can Bojenmi tea do for you? The Chinese translation of the teas name gives us the first clue. The full name of the tea is “Baojianmei Jianfei Cha” I’m not Chinese and google translate didn’t help. However, a helpful Chinese lady I know said the literally translation means. To maintain health, nice appearance, reduce fleshiness tea. By reduce “fleshiness” I believe refers to reducing weight. Hence, Bojenmi tea helps to maintain your health and also helps you lose weight. The tea originates from Xiamen. A coastal city on China’s south-east coast, facing the straits of Taiwan. Lonely Planet describes the city as one of China’s most sophisticated city’s. The city is situated in Fujian Province and this is where 50% of the teas ingredients come from. This 50% is tea leaf, the other 50% being herbs. The herbs above are used in TCM to reduce weight. The Chinese believe that four actions help to reduce weight. Remove accumulations of moisture and phlegm. To improve digestion the following herbs, barley sprout, hawthorn, radish seed and patchouli herb, help. For removing excess fluids the following herbs: water plantain rhizome, hoelen mushroom and red bean do the job. Senna seed and morning glory seed give the tea a laxative effect. Cassia, Crataegus and alisma reduce lipids in the blood. The combination of all these herbs according to TMC will result in weight loss. 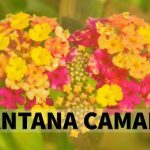 One of the most interesting herbs in this list is Alisma ( Water Plantain). This is because Alisma is a Diuretic and also has a Lipotropic(1) effect( breakdown of fat during metabolism in the body). This little herb may be the Ultimate Secret. There’s a famous Chinese story about how green tea was discovered to help reduce weight. The story goes as so, in a Chinese restaurant one of the tables became covered with grease food and fat deposits. By accident a cup of green tea spilled onto the table as well. When the waiter cleaned the table he noticed that the fat had been dissolved by the green tea and cleaned off the table easily. The Chinese now believe that Alisma has the same properties. That of reducing excess fat in the body. There is now also some scientific evedance to back this up. The weight loss properties of Bojenmi tea are well know but it can also treat high levels of cholesterol. Again Alisma and Cassia, Crataegus are the herbs that help with cholesterol. TMC believe these herbs reduce LDL( high density lipoprotein). They do this by reducing lipids in the blood. Blood lipids refers to fat substances in the blood stream. These include triglycerides and cholesterol. As a example if you have high cholesterol/FAT in your blood this could lead to heart disease. Remember that the tea is 50% tea leaves or Camellia sinensis. Hence the tea tastes like a mild black tea but with a slight bitter after taste from the herbs. If required you can add a sweetener like sugar or for the health conscious stevia. The dosage for the tea is one/two tea bags three times a day. Note that 1 tea bag, contains about 3-grams of Bojenmi. Hence, the recommended dosage is 9/18 grams of tea leaves per day or 3/6 tea bags. It’s also advised to soak the tea/bags for 3/5 minitues to get the full favour and health benefits. As discussed above this tea has a small laxative effect. This is attributed to Cassia/Chinese senna. This herb is a stimulating laxative. Hence taken in excess could cause diarrhoea and stomach pain. However if you stay within the recommended dosage you should have no problems. As with all herbal remedies you should always consult a herbalist or medical practitioner. Cassia or Senna obtusifolia (Chinese senna, American sicklepod) some confusion about which genus this herb is placed in(2) . Does Bojenmi Tea Have Caffeine? This is a question often asked of herbal teas not just Bojenmi. So is there caffeine in Bojenmi, simple answer YES. This is because, as we know 50% of this tea is made from white tea and white tea contains caffeine. However it’s not that simple because the amount of caffeine in white tea varies greatly. As a example the caffeine content in white tea can be anywhere from 6 mg to 75 mg of caffeine(3). What makes this question even more interesting is that Bojenmi tea comes from Fujian, China. This is considered the homeland of white tea and the Camellia sinensis plants grown here are natural lower in caffeine. Hence, Bojenmi does contain caffeine but at low levels. 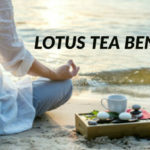 Bojenmi Tea is a great herbal tea with many benefits particularity if your looking to lose weight. The Chinese are the masters of medicinal herbal teas. So if your looking for a serious weight loss tea. Then give Bojenmi Tea a try and you might discover it’s the Ultimate Secret.